The unit which is the pride of the fleet. It is the only unit capable of destroying a platform. Basic units used in military operations. The main force of attack. They are ready at any time to guard the empire's borders. 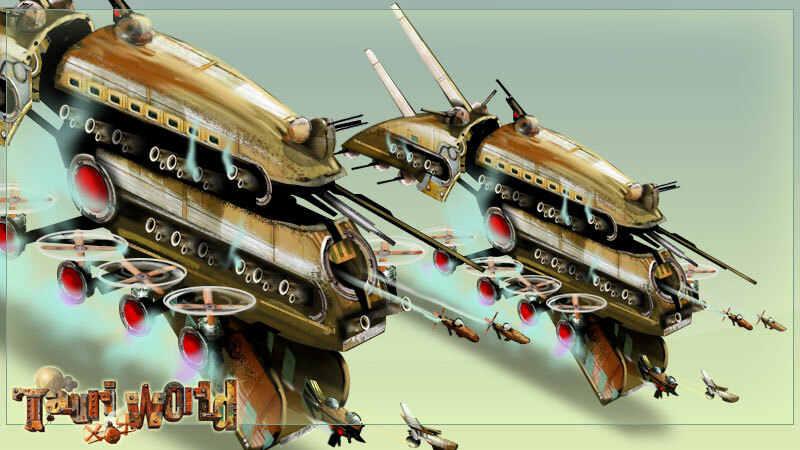 An expanded type of units of strategic importance for the player. Land unit formations constitute the basis for military action at an enemy territory. The production building, designed to extract the basic raw material: wood. A very important building, which allows you to coordinate the extraction of raw materials on the island. Buildings are a key resource needed to meet demand island resources. It is the basic source of information about other players. Properly used, it can be a very useful tool. They provide an opportunity to manufacture ships and units and defend against aggressors. The island screen is the main game screen. It gives us access to all buildings and fleets. Particular buildings allow us to build our army, develop new technologies, extract raw materials, etc. The screen shows us the island’s surroundings. We can see here the islands of other players, mineral deposits, etc.